Although it's convenient to grab a granola bar as you rush out the door in the morning, next time consider waking up just 30 minutes earlier to enjoy a warm, hearty breakfast to start off your day. Today's Bon'Approved breakfast option is omelette--customize it with these delicious and healthy toppings! Raw onions may have a strong, pungent smell, but when they are cooked, onions have a semi-sweet taste. They contain loads of sulfides that helps to prevent tumor growth and lower blood pressure. Chop them into small pieces and add them to your omelette. 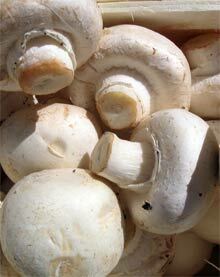 Of all different species of mushrooms, button mushrooms are used most widely in omelette. Mushrooms are beneficial to your immune system and can lower the risk of cardiovascular diseases. 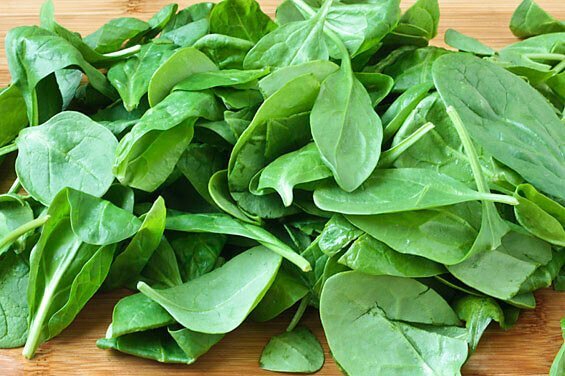 Rich in vitamins and minerals, spinach is a great addition to omelette. You can either sauté it in light oil or add it straight to your egg mixture. These large, deep purple olives originating from Greece will add a smooth, meaty texture as well as a strong, sharp taste to your omelette. In addition to packing lots of vitamin E, olives are a good source of monounsaturated (healthy!) fats that help to lower your cholesterol levels. Other tips for your omelette includes using less oil and opting for egg whites. Enjoy! These look delicious! Realized I had everything I needed to make them in the kitchen so mine are in the oven as I type!! In case you are using a filling that desires to be cooked — inclusive of apples, mushrooms, onions, peppers, leeks — quick sauté in a small frying pan with 1 teaspoon of the butter. In case you are writing a cheese omelette, either slice the cheese thinly or grate it finely and positioned aside. Crack the eggs right into a small blending bowl. An omelette recipe perfect for breakfast, lunch or dinner, be creative with you flavour combinations and add tomato, basil, mushroom, or even chorizo! Then i work on daily power tower . which is very benefit for the body.